Are you planning your blog’s editorial calendar? Whether you’re a new business looking to start a blog or a brand that needs to plan next week/month/year’s content, there’s one thing that holds true for all businesses – you need an organized editorial calendar to maximize views, shares, content, and efficiency. Social media experts today agree that content marketing is leading the way as we head into 2014. The social web has become a hub for sharing quality content with engaged and interested users and, when done right, can lead to positive social media ROI. While extremely valuable and important, content marketing and creation is a time consuming and often cumbersome project. One of the best ways to share quality content with an interested, targeted audience is through a company blog. There are a few tricks for content creation that help ease the process, but the ultimate way to keep an up-to-date and engaged blog, is to have an editorial calendar. As the marketing and communications manager I am in charge of choosing and scheduling the content for Viralheat’s blog. Over time, I have developed an editorial calendar process that has contributed to the success of our company blog and passed these tips along to other community and marketing managers. And while an editorial calendar can be as simple as a Word document that lists the posts that will go live on the blog, I’ve found that to ensure your blog is fully optimized it’s best practice to create an online spreadsheet (I use the spreadsheets in Google Drive). Using a spreadsheet in Google Drive has three main advantages: 1) you can access this document from anywhere with an Internet connection. This comes in handy if you are working away from your desk and a request or question comes in; 2) you can share the calendar with other members on your team. If a few people manage content curation and placement for your blog, this spreadsheet serves as the master copy so all members can refer back and/or make edits to it; and 3) you build out a system that keeps your team and blog organized over time. So what kind of information do you include in your editorial calendar? There are 10 categories every editorial calendar should have – some may seem like common sense (but they’re still important), while you may wonder why others are necessary. It is an editorial calendar after all! But the date doesn’t just keep track of when your next post goes live, it also gives you an idea of when you have the next opening so you can plan ahead and avoid double booking. If you are blog that accepts guest posts/content, then it’s important to have an idea of when you can post a contributor’s piece so you can keep the writer updated. Before you figure out what topics to include in your blog, sit down and think about your company and what kind of content you want to share with your audience. Make sure your topic ideas fit your target audience otherwise your information will be falling on deaf ears. It’s important to know the topic of articles coming in to your blog so you can make sure they match your company vision, culture, and voice. Keeping track of topics also gives you an idea of what kind of content you want to include next as it shows you which topics you’ve already talked about extensively versus which topics could use more attention. The title is extremely important. Not only does it tell people in a few words what the rest of the article will focus on, but also it’s important for SEO purposes. Make sure you include your SEO keyword near the front of the title to ensure the most relevant words are picked up online. Keep your title short and to the point – save the explaining for the article itself. Give credit where credit is due. All writers take pride in their work and it’s important to make sure they are acknowledged for the work they did. Include or link to an author bio in each post that gives a short bio summary and contact information in case a reader wants to directly get in touch with the author. Keeping track of your authors also allows you to keep a variety on your blog, whether it’s among members of your team or among contributors as well. There are differing theories on including links in blog posts, but in the end it’s all up to the discretion or preference of the blog manager. Keep in mind that links can help validate content, but too many links get confusing and break the flow of the article as it requires the readers to click elsewhere and lose their current train of thought. As a good rule of thumb, don’t allow more than 3 external links so you can keep the focus on the information at hand. You must identify the main focus of the article to use as your primary SEO keyword as the number of keywords allowed differs by the software used to host the blog. If you’re allowed to enter more than one keyword, err on the side of quality keywords and not quantity. Do not put 20 keywords because it will lower the value of leads that come to your post through search engines. 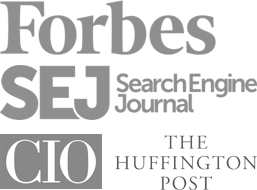 You want people to find your post who are specifically looking for content or expertise on the article’s main focus. Besides, you’d probably struggle to rank for so many keywords. Be sure to include a meta description with each blog post. This description gives a short summary of your article and shows up below the title of your post on search engine results. Make sure you give an accurate and compelling description that will entice a potential reader to click through to get the article in its entirety. Images are important in blogs for a couple of reasons. One, it helps enhance a particular point you may be trying to make. Two, – and this is especially true for longer pieces – it is more aesthetically pleasing to readers. Seeing an entire block of only text can scare a reader away, but images in between every few paragraphs makes it look more digestible at a glance. But don’t turn your blog into a photo blog. Use your discretion as to how many images you’ll allow based on the length. Tags help to keep your blog organized. When you create tags based on topics or specific categories covered, you’re then able to tag each post with that topic. When readers are browsing through your content, they can click on the tag that interests them the most and it will bring up all the relevant articles with that specific tag. Imagine if the aisles of a bins at a craft store weren’t labeled – it would be a jumble of mess that you’d have to sort through to find the one thing you’re looking for. You want your article to be shared and seen as much as possible. Allowing share buttons is a quick and easy way to get your readers to share the content. Be sure to include shares to Facebook, Twitter, LinkedIn, and Google+ (among others) as those are the platforms that readers use most to share interesting and relevant content with their networks. If your blog is running on WordPress then adding these buttons is extremely easy thanks to all of the social sharing plugins that are available, some of which you can find here. If your blog isn’t using WordPress then there are solutions such as Addthis or Sharethis that support a variety of other platforms. The important thing is that the process isn’t overcomplicated but you need to make sure you and your team have as much information as they need. Remember, that content is king and will continue to rise in its importance as we move into 2014 so take the steps now to ensure your blog’s success. Now that you know the 10 categories that editorial calendars should include, it’s time to either get yours started or to edit your current model. For reference, take a quick peak at Viralheat’s calendar for the month of October. Click here to access your free template. What difficulties do you have keeping your blog content organized? We would love to hear more in the comments. Eileen Bernardo is the Marketing/Communication Manager for Viralheat, the social media marketing suite for business. She understand the power of words and enjoys taking different works of writing and turning it into information that is beneficial to the masses. You can reach her at eileen [at] viralheat [dot] com or on Twitter at @eileenrene.